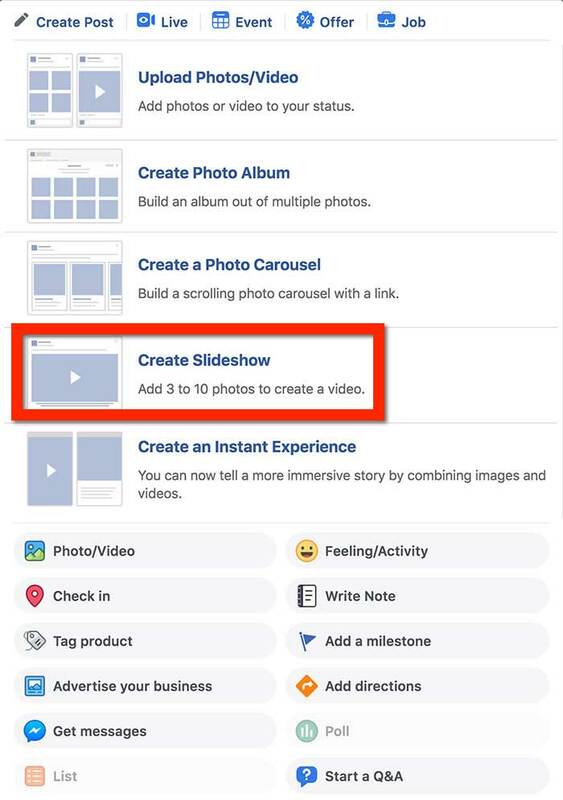 If you want to know how to create a Facebook Slideshow then you’re in the right place, because this post will show you how to make a slideshow on Facebook in just a few steps! 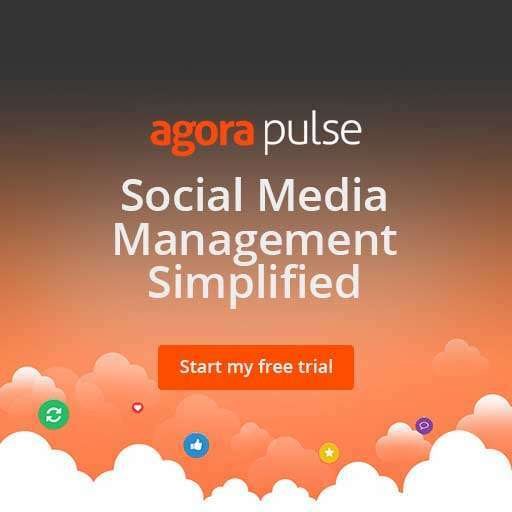 I also share with you some quick and easy alternatives to the Facebook Slideshow tool – on Instagram and Facebook, so that you have many creative options! Video is huge, there is no doubt. And Facebook LOVES video. It’s widely accepted that Facebook is pushing video a lot on their platform, so you’ll get good reach (and most likely engagement) on video content. With all the tools and apps these days, we have a lot of choice for creating video… even if the idea of video freaks you out. But it can also have a reverse effect of overwhelming us when we just need to create something simple. Facebook Slideshow is a great way to create videos on Facebook. But if you’re wondering where it has gone, don’t worry… it’s just that the layout for creating a post has changed slightly. So I decided to update this post and show you how to find it and then add a few more tips in, seeing as the post has been so popular. This post takes you step-by-step through how to create a video of up to 50 seconds using this fun tool. As well as some extra recommendations for creating quick, easy videos. But what you want to choose is: Photo/Video. Click on it! Now the easy part starts (trust me, it really is easy… as easy as joining the dots). Please note that these options have changed from time to time, so it may look slightly different and you need to be on desktop not mobile. Don’t see these options? Check that you are not on your Facebook Profile instead of your Facebook Page. This is only available on your Facebook Page. 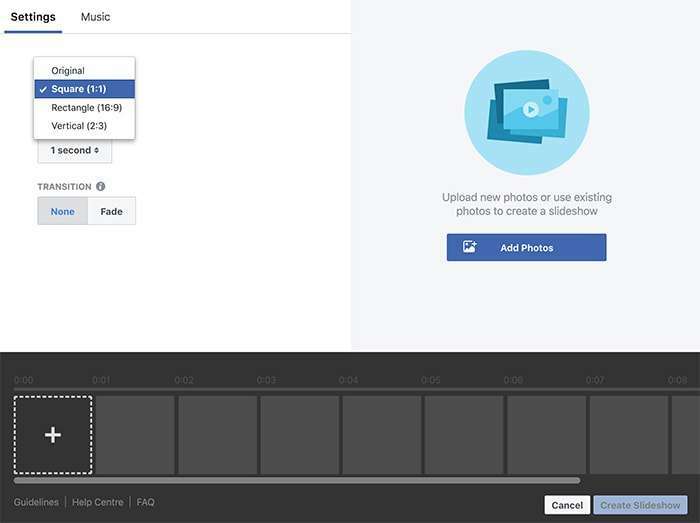 Now Facebook will – again, easily – lead you through the steps to create your Slideshow. This part is fun. Before you add your photos, you need to make a few simple decisions about a few key video elements. Aspect ratio (the size of your final video) – you can choose from original, square (1:1), rectangle (16:9) or vertical (2:3). 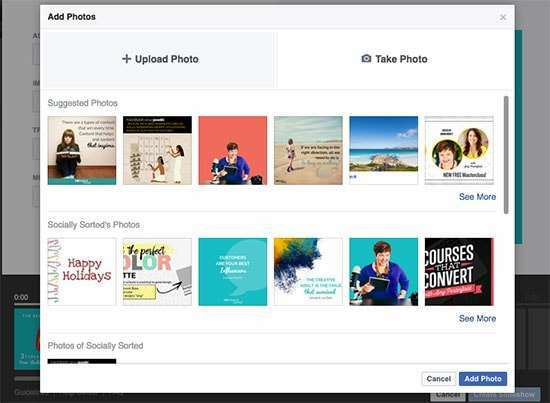 Duration of each slide – you can choose from 0.5, 1, 2, 3, 4 or 5 seconds for each slide on your Facebook Slideshow. Transition – you can choose from having no transition or to fade your transition. Music – you can choose from a number of music styles. Do you see what has changed? Previously you could only choose the tracks that Facebook offered for your Facebook Slideshow. Which wasn’t so bad in a way as you didn’t have to choose from the entire Spotify catalogue and a thousand transitions. However, now you can upload your own music tracks which is pretty handy! Whichever way you go, it’s super simple and designed to help you to get a video “up” . Warning: Make sure you have the licenced rights to use music in your video if you intend to upload music into your slideshow and then broadcast it publicly. This is really important so you are covered for copyright. Put simply, Facebook wants you to create video, so this process is very dot-to-dot and easy to follow without instructions! 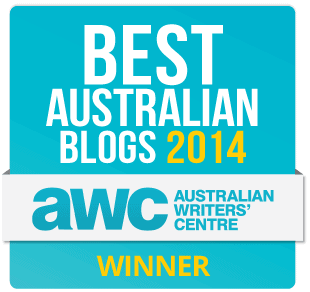 It’s important to note that you do NOT have to finalise these decisions now. Just choose the elements you think will work and then start adding images. You can edit before publishing. For me, it was a no-brainer to choose “square” for this project, as I wanted to recycle some old Instagram tip images I had previously posted. 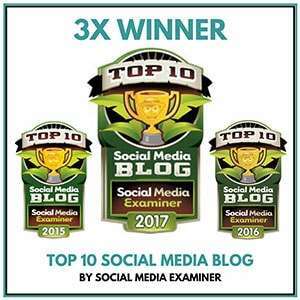 (Full disclosure: I did have to go into Canva and create 2 or 3 extra images, but most of the work had already been done for me because I was using re-purposed images). Note: Your size will be dictated (usually) by the images you want to use. The rest can be changed easily. Now the fun part happens. You can start uploading your images (up to 10 of them)! 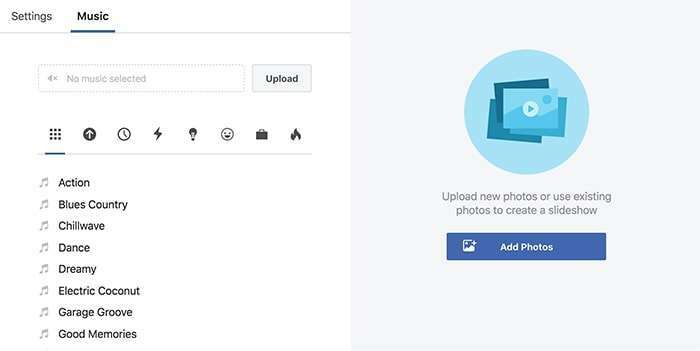 This is as simple as clicking on the “+” button and choosing “Upload Photo” from your computer or “Take Photo” if you are taking photos to add. Facebook also suggests images from your timeline, cover photos, your photos from your Facebook Page….but usually you will upload your own! Simply upload the photos in the order you want them to appear in the Facebook Slideshow. Once you have all your images uploaded, you can preview the video to see what your Slideshow will look like. In this example, I uploaded 8 slides but you can add up to 10 in total (the slideshow requires 3-10 slides). The slides can range from 0.5 second to 5 seconds duration per image. Upload your images in the order you want them to appear. Simply edit any image or element that you want before publishing. Note: You can’t edit it after you publish so double-check it’s how you want it. If you need to delete and replace any slides, you will need to delete all the slides back to that point. It doesn’t take long to upload them again, though. After viewing the Facebook Slideshow I had created, I decided that the text slides needed a little longer in the slideshow, so I changed them from 4 seconds to 5 seconds in duration. When you’ve checked everything and you are sure you are ready to publish, just click Create Slideshow. It will take a few seconds for your video to render (depending on how many images you have and the duration). Then simply add a description to your video. You will also be prompted to add a title if you want to. This is highly recommended as your video will list in your “Video Section” on your Facebook Page, so people can find it easily. Download your video for later! Now I can take this video that I created with images from Instagram, and post it on both Facebook and Instagram. 7 Publish.. and enjoy the views! Awesome right? Now that you know where to find it again, you can use Facebook Slideshow too! You now know how to make a Slideshow on Facebook! Use Instagram SlideShow instead. It’s another fun tool! 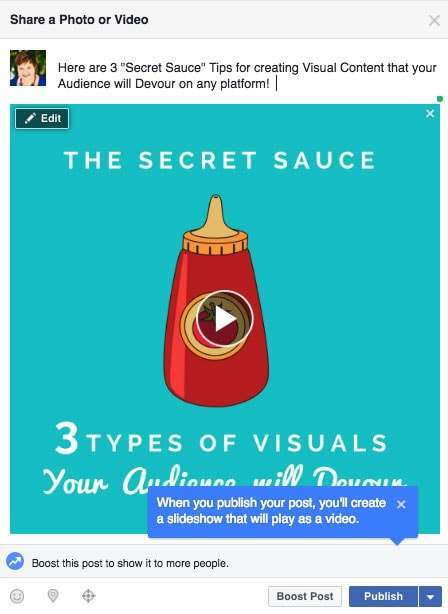 Create Slideshow-like Videos and share on Facebook using the tools below. Instagram Slideshow posts open up a lot of creative potential for businesses to tell their brand story. They allow you to go beyond choosing just one photo to post on your Instagram feed. With tools like Instagram Stories and Instagram Slideshow you can get really creative. Wave.Video – this is my go-to tool for creating videos that include photos and text. GIFs – use Giphy or Gifmaker to add a series of photos to the tool and convert them into a GIF. These an be easily converted to video using a tool like EzGif. 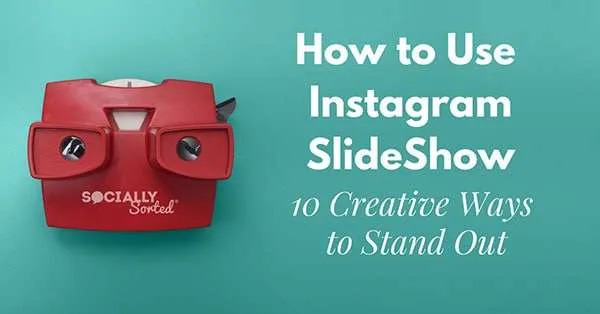 These types of slideshow videos can be added to Facebook or Instagram in video format. Hot Tip: If you use wave.video, then use the resize tool to convert your square video to portrait and post it as an Instagram Story too! 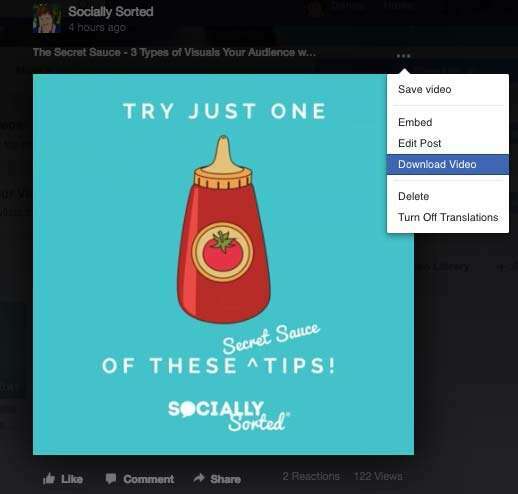 Whatever tool you use to create video (Facebook slideshow, video or otherwise), there is potential for you to create easy video with existing (or new) content, so get creative with it! 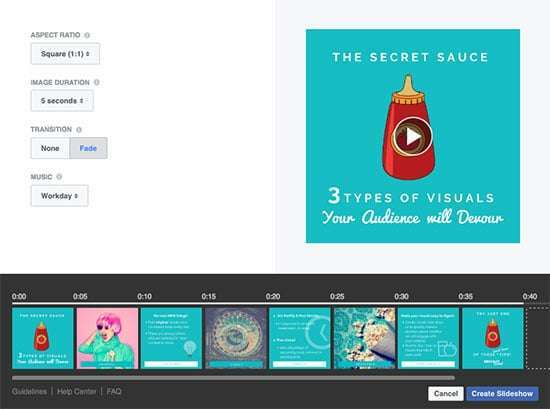 Have you used Facebook Slideshow to create engaging videos before? Image by Shutterstock. Like this post? Pin it to Pinterest.